Research and Reports in Gynecology and Obstetrics is a peer reviewed journal that showcases the advancements in medical treatment methods of diseases associated with female reproductive system, medical attention and clinical correlation required during pregnancy. The journal focusses on publication of manuscripts regarding recent findings on the medical care, treatment and gynecology surgery associated with childbirth (c-Section) and during the postpartum period. 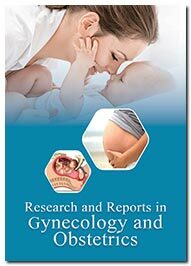 The scope of the Research and Reports in Gynecology and Obstetrics journal encompasses various aspects of gynecology and obstetrics such as maternal and fetal surveillance, antenatal and postnatal care, reproductive endocrinology and infertility, gynecological cancers, pelvic medicine and reconstructive surgery, laparoscopic surgery, pediatric gynecology, menopausal gynecology and geriatric gynecology. The journal aims at broad coverage of research advancements in perinatology and wide dissemination of knowledge on myths and facts of maternal-fetal medicine. The journal also focusses on the publication of advancements in the diagnosis and treatment of ovarian disorders such as polycystic ovarian disorder (PCOD) and management of fertility issues with the help of diet supplements and exercise. Research and Reports in Gynecology and Obstetrics emphasizes on publication of conceptual breakthroughs in the field of in vitro fertilization (IVF) as a solution to infertility issues and also providing cognizance regarding the litigation involved with IVF and surrogacy. All the submitted manuscripts undergo peer review by the subject matter experts under the supervision of the Editor-in-Chief or assigned Editorial committee member of the Research and Reports in Gynecology and Obstetrics journal. Approval of at least two independent reviewers and the editor is mandatory for the acceptance of the for publication. Ovarian function preservation of low grade endometrial stromal sarcoma at stage II: A case report and review of literature. Severe preeclampsia with HELLP syndrome with Wilson's disease. Cutaneous endometriosis: to scope or not to scope?